The warm, gin-clear waters of the Maldives boast some of the best diving sites in the world. Like scattered pearls across the Indian Ocean, the tropical islands of this archipelagic nation are surrounded by coral reefs, sandy banks, and steep drop-offs that some of the planet’s most breathtaking marine life call home. 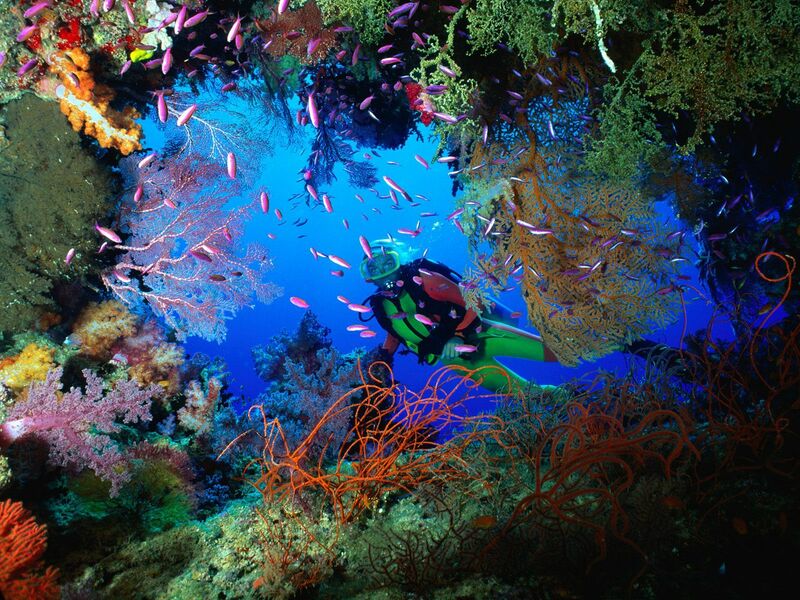 The spectacular natural beauty of the Maldives’ palm-fringed tropical islands continues beneath the surface of the ocean with pristine reefs teeming with vibrant corals, brightly colored fish, and a myriad of other marine life, making it one of the best places in the world for scuba diving. Home to 26 atolls, which span over 500 nautical miles from Haa Alifu in the North to the Addu Atoll in the South, the Maldives packs a punch when it comes to idyllic islands, however, the amount of land that lies above sea level in the Maldives represents only a tiny fraction of the country’s overall land mass, most of which lies below sea level. 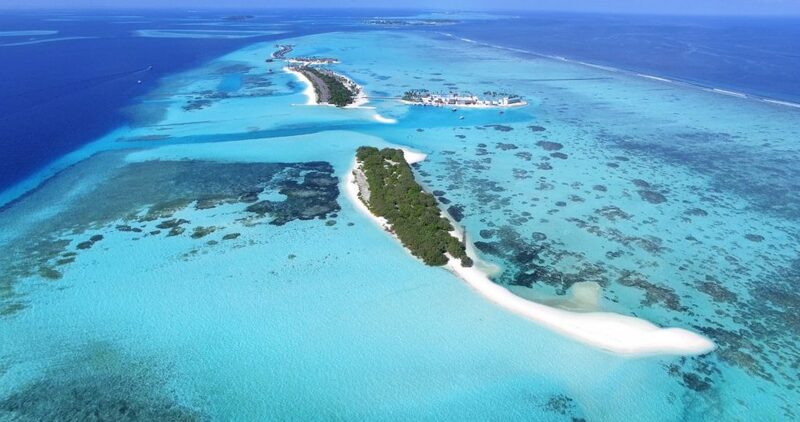 The nearly 1,200 islands of the Maldives are just the visible coral tips of an extensive oceanic volcanic mountain range whose outer edges can sometimes plunge to depths of almost 10,000 feet. 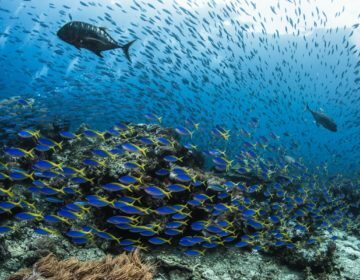 The relative isolation of the Maldives in the Indian Ocean has led to an extraordinary and diverse variety of marine species that call it home. Strong seasonal oceanic currents flowing through the country’s many islands have forged deep channels from the open ocean into the atolls. These channels direct plankton-rich waters into and out of the atolls, which in turn support an incredibly vibrant marine ecosystem. Inside the atoll, reefs, sandbars, islands, and lagoons have evolved over millennia to create nurseries and habitats for many of the reef’s inhabitants. An excellent option for a scuba diving holiday is to spend a week on a liveaboard, which provides the opportunity to explore different atolls and experience a variety of dive sites without being anchored in one place. Liveaboard trips are all-inclusive, which includes comfortable accommodation, all meals, and several dives a day with qualified dive instructors, including night dives, ensuring all you have to think about it eat, sleep, dive, repeat. Liveaboard cruises usually last for seven nights, however, longer cruises are available at specific times of the year, allowing for more time to travel and explore an extensive area and less frequented dive sites. 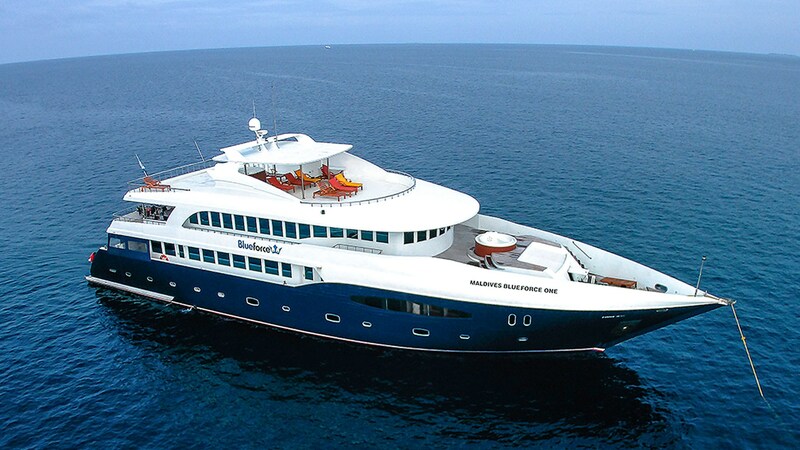 There are various options for liveaboards, depending on your budget and taste. 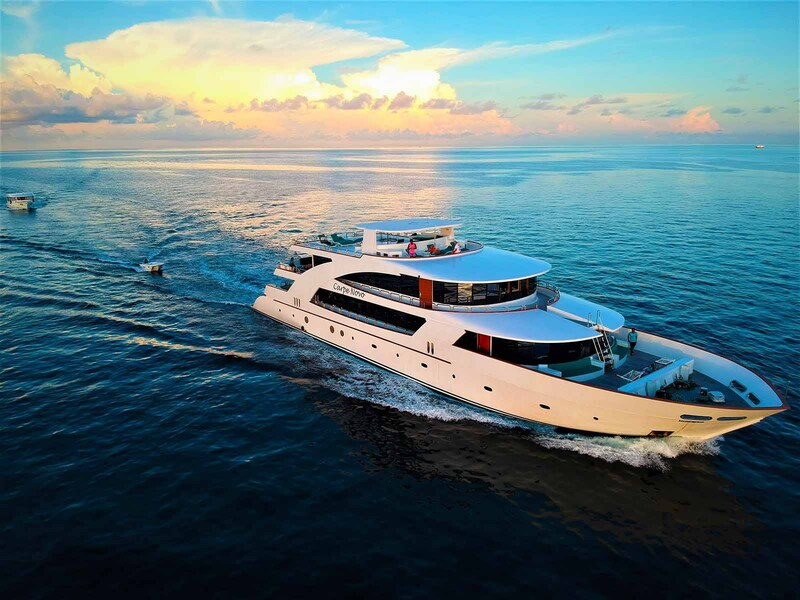 The Emperor Maldives fleet has six boats, ranging from the luxurious MV Emperor Serenity to the more basic MV Emperor Atoll. The MV Ari Queen and MV Stingray are ideal if you are on a budget, but still want the home comforts like an en-suite shower, while the Nautilus II offers peaceful sailing cruises. For those in search of absolute luxury, Blue Force One offers spacious cabins with a Jacuzzi in the master suite. 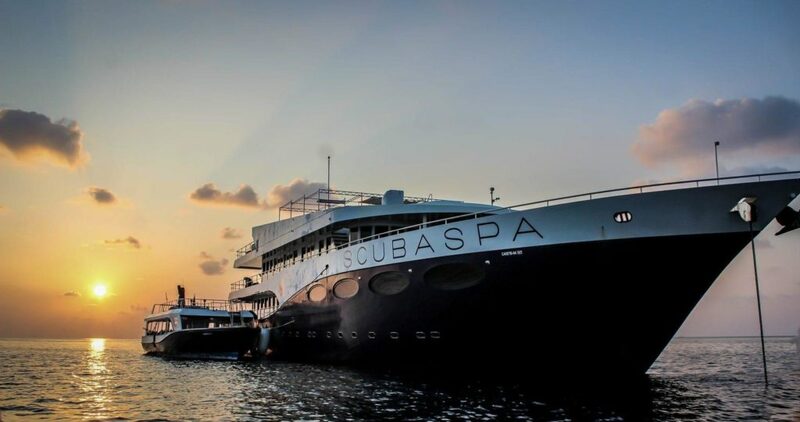 One of the biggest and most comfortable ships ever built in the Maldives, Scubaspa Yang is one of the most luxurious liveaboards in the world. Designed as both a dive boat and a five-star wellness retreat, the Scubaspa Yang is 165 feet in length and boasts ample deck space, luxurious accommodations, a lounge with a comfortable outdoor seating area, and an exclusive spa that occupies an entire 300-square-meter deck with a Jacuzzi, six professional spa therapists, and a mini gym. The sister ship sister vessel of liveaboard Scubaspa Ying, Scubaspa Yang is accompanied by its own diving dhoni and four professional dive instructors and masters who ensure absolute safety. 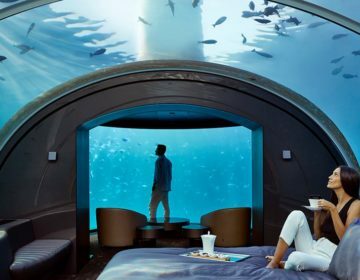 Maldives Blue Force One is 138 feet long and 39 feet wide and boasts beautiful interior and entertainment options, including two hot tubs, three solariums with sunbeds and mattresses, and luxurious climate-controlled accommodations. Designed for both divers and non-divers and snorkelers, guests can enjoy relaxing on one of three sun decks, an upper deck, a comfortable lounge and a disco in the evenings. The vessel also offers stand-up-paddleboards, surfboards, and kayaks for guests to use in their free time. 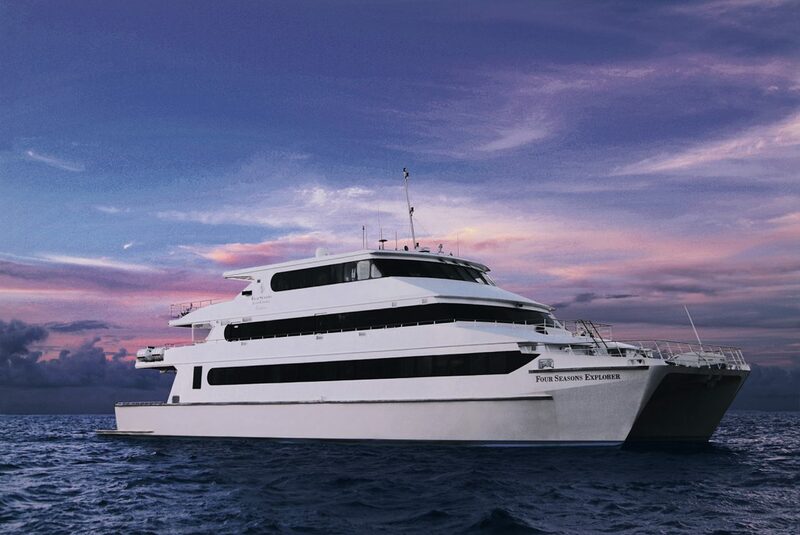 Four Seasons Explorer is a luxurious, 127-foot, three-deck catamaran that offers a wealth of leisure activities from water sports and island excursions to relaxing spa treatments. 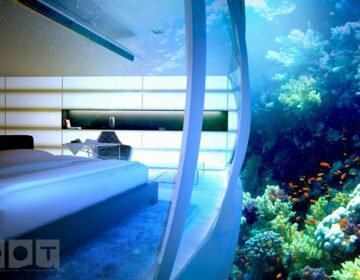 Designed for both divers and non-divers to discover remote shores and rarely visited dive and snorkeling sites among the untouched reaches of the exotic atolls, the vessel features spacious climate-controlled cabins with en-suite bathrooms, elegant staterooms, two sundecks with jetted tubs, a restaurant, bar, and lounge with a large flat screen television. An exclusive spa provides world-class natural therapies inspired by Asia’s ancient healing principles and open-air massages at the private treatment area on the Upper Deck. An onboard PADI 5-Star Dive Centre and separate dive vessel make the most secluded sites in the Maldives easily accessible ranging from the Four Seasons resorts of KudaHuraa to LandaaGiraavaru, a pristine hideaway in the Baa Atoll UNESCO World Biosphere Reserve.